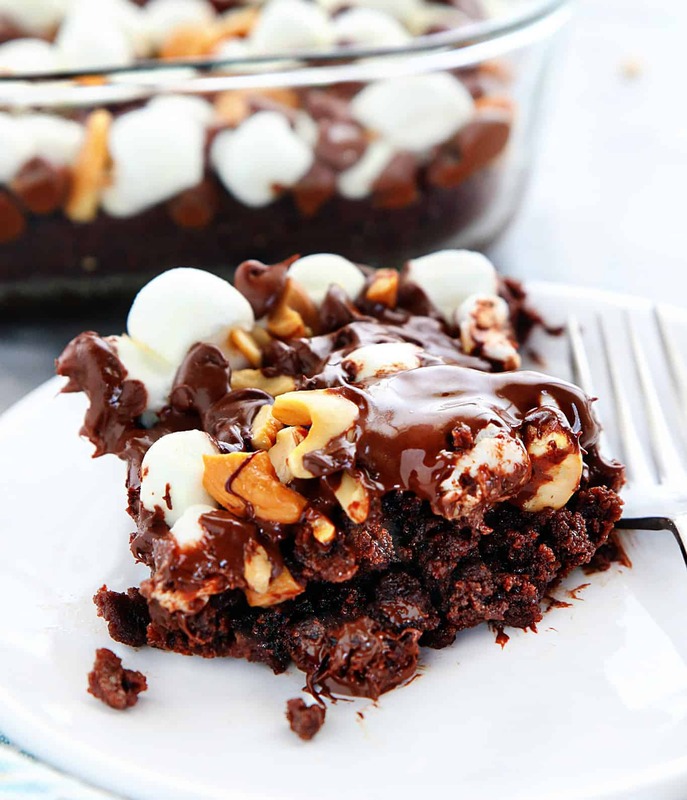 These Rocky Road Brownies are going to take your brownie game to a whole new level. Deliciously moist and fudgy brownies topped with an ooey gooey mixture of marshmallows, chocolate, and cashews. You won’t want regular brownies again! 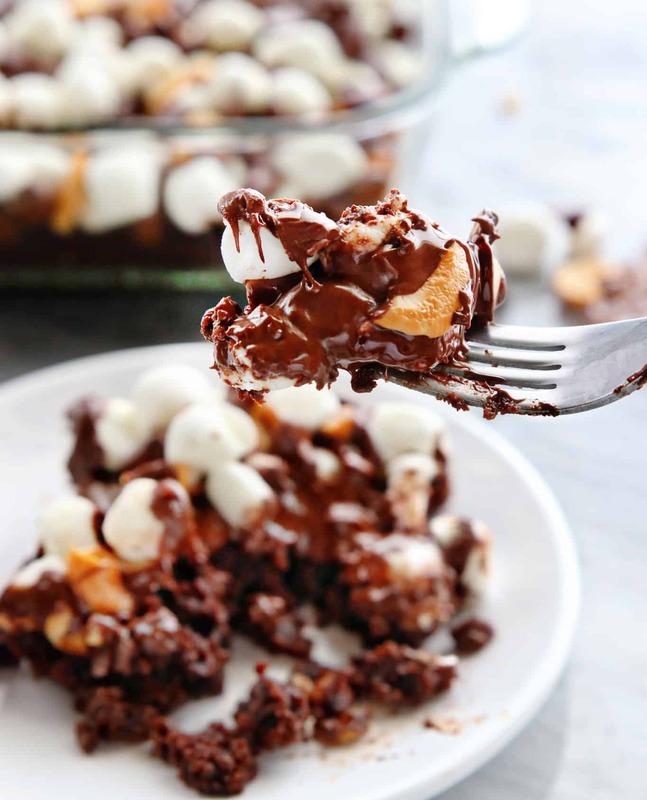 If you are like me and you LOVE brownies, make sure to check out my brownie mix (which this Rocky Road Brownie is based on) which is perfect for gift giving and my favorite all-time best brownies, which is perfect for keeping all to yourself! Traditional Rocky Road ice cream is one of my favorites. 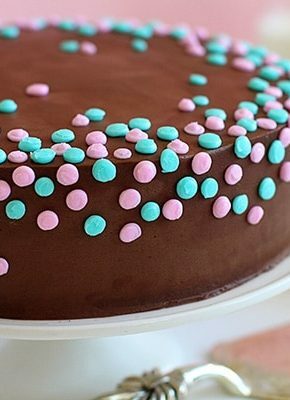 I love to pair it with a fresh from the oven brownie, so this combination just makes perfect sense! Rocky Road ice cream was invented during the great depression when the most common flavors were vanilla and chocolate. The folks that made it named it “rocky road” to give people something to smile about in the face of some pretty uncertain times. It’s amazing to me that ice cream of any kind could have such an impact. It probably helps that Chocolate Ice Cream with nuts and chocolate chunks and marshmallows pair pretty nicely together. Brownies are not hard to make, you mix the dry stuff with the wet stuff and bake. 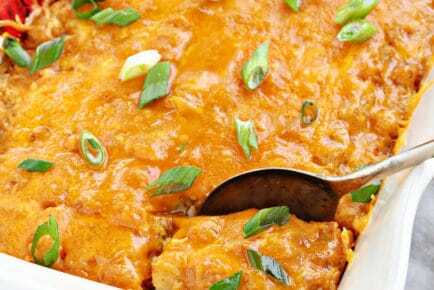 This recipe adds a simple but amazing step at the very end that makes it so over the top amazing! 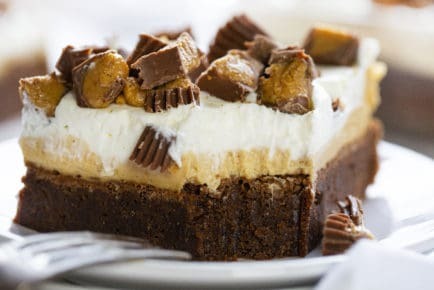 To make Rocky Road Brownies start with the brownie base. In a medium bowl, beat the eggs and vanilla together. Once combined, add in the dry ingredients (sugar, cocoa powder, flour, salt, and baking soda). Pour in the melted butter and mix it until the butter is fully incorporated. Pour the batter into an 8-inch square baking dish and spread it out evenly in the pan. 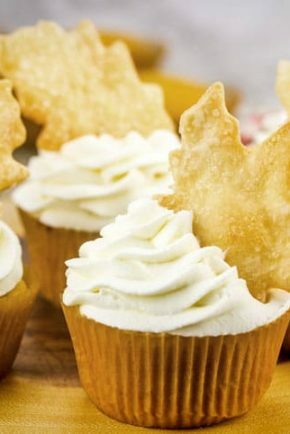 Bake these for 20-22 minutes. 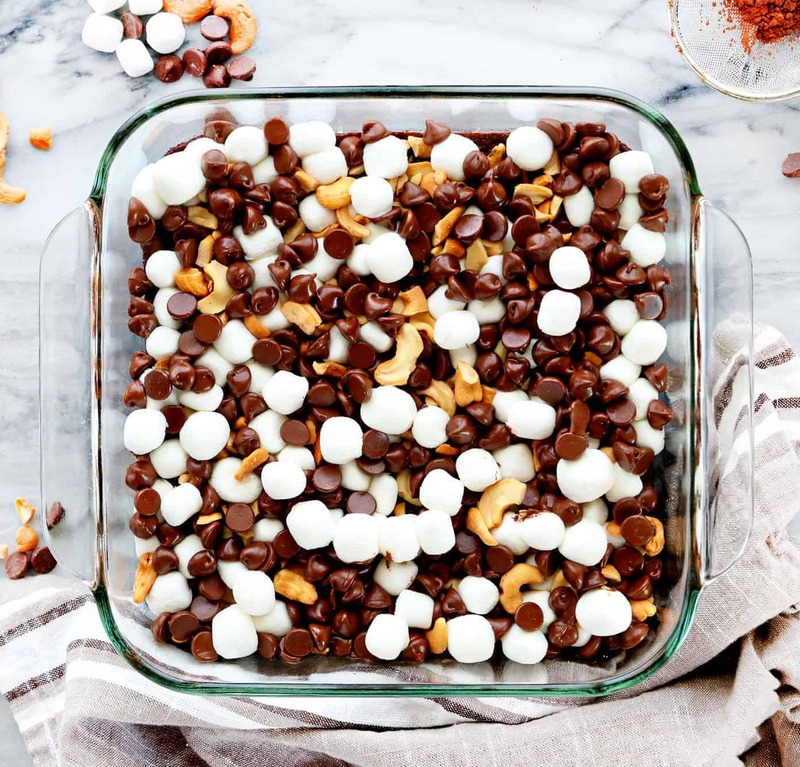 Remove the brownies from the oven and top with chocolate chips, crushed cashews, and miniature marshmallows. Bake for an additional 5 minutes or until the chocolate is shiny and the marshmallows are slightly puffed. 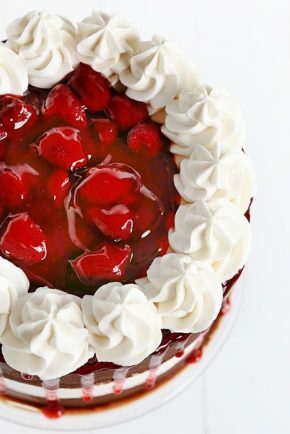 You won’t want to, but you should let this cool off a bit before digging in. You can still serve it warm though! Instead of Chocolate Chips, use Dark Chocolate Chunks, or White Chocolate Chunks, or go crazy with a triple chocolate rocky road brownie and add all three. Make sure to check out some of my favorites! These Rocky Road Brownies are going to take your brownie game to a whole new level. 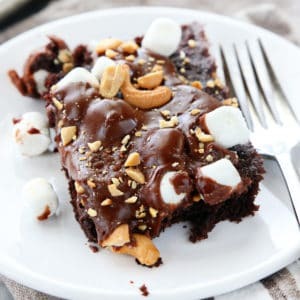 Deliciously moist and fudgy brownies topped with an ooey gooey mixture of marshmallows, chocolate, and cashews. In a medium bowl, beat two eggs with the vanilla. Add in sugar, cocoa powder, flour, salt, and baking powder and gently stir. Pour the melted butter into brownie mixture and mix until the butter is fully incorporated. Spread batter in a prepared 8-inch square pan. 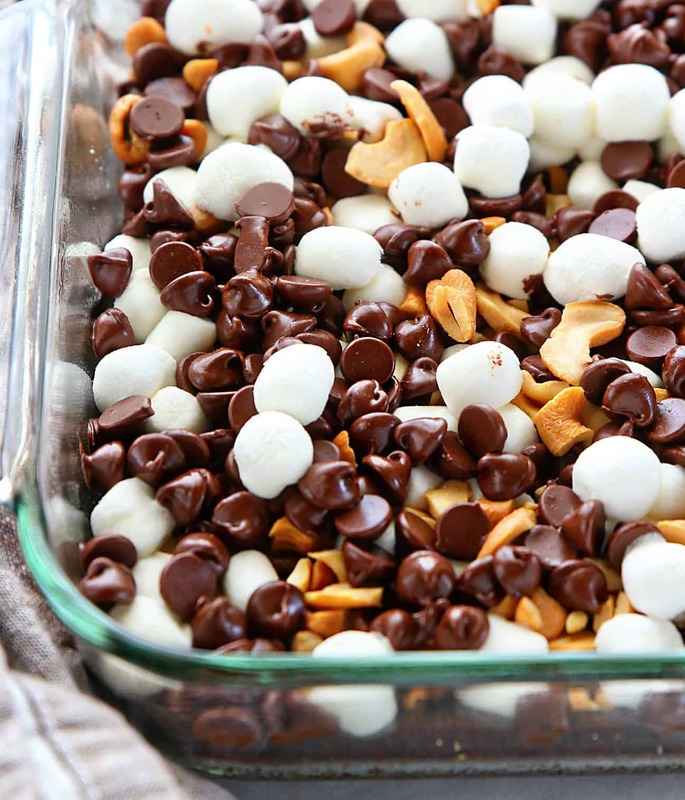 Remove from oven and add chocolate chips, marshmallows, and cashews. I receive your blog updates regularly and enjoy them very much. There is one glitch however. It seems the images you’re sending haven’t been adjusted for the web and as such, they are so large that I am unable to view the entire image w/o scrolling down. Since I am computer/web wiz, I asked my husband about it. He told me it’s the size/resolution of the uploaded image on your end. I do know that web images are usually quite small. Anyway, I wonder if you can check the size of the images you’re sending and adjust them for the web. Many thanks! So sorry Ginny. I have heard this from quite a few folks and have been trying to get it fixed, and the technician said he made some tweeks to the format. Did you have that problem again this morning? It should have been resolved! 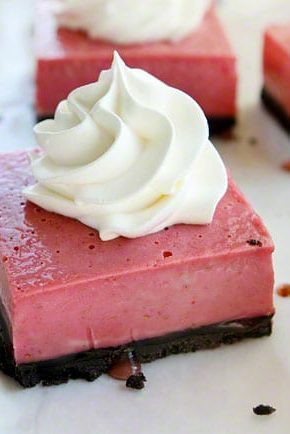 These brownies look so wonderful! I am not a fussy Baker, so these are just my kind of homemade baking. Thanks for all the great recipes. I love them! Yes, same problem this morning. Honestly, I think it’s a really simple fix. The size/resolution of the images need to be much, much smaller. I think around 70 pixels, at least that’s what I’ve seen on my own web images. So it’s not as easy as you would think. I need the images to be a certain size so they are showing up correctly on my blog. We are currently trying to determine which image the email is pulling so I can add either an alternate sized image or try and make that image smaller. Images for my site need to be 800px or larger as 70 pixels is a thumbnail. But rest assured I know how annoying that the emails have been and am working on it!